Commodity options trading is associated with the huge commodities market where physical goods like corn, wheat, pork bellies, gold, silver, crude oil and natural gas are traded, while stock option trading is a market derived from the price movements in company stocks. You may have thought that options were only related to the stock market. Well, if you did, you're in for a surprise! New York Mercantile Exchange - USA - turns over about $19 million per month. Because people are less likely to hold physical goods for a long term investment (as opposed to company shares), the commodities market and therefore commodity options trading tends to be more speculative and therefore, volatile. But if we apply the right option trading strategies to these conditions, huge gains can be made. If you have an interest in commodity options trading, you will need to find yourself a commodity option trading broker with access to the commodity futures exchange of your choice. You will also find that, unlike stocks, where all option contracts cover a set number of underlying shares - for example, in the USA, one option contract covers 100 shares - the commodity options market allows a somewhat unique relationship between each commodity and its respective options contract. Let's take crude oil for example - one option futures contract covers 1,000 barrels of oil. But an option futures contract for Natural Gas covers 10,000 units ... and so forth. You may also need to decide how you will analyze the potential future price movements of the underlying in order to implement the best option trading strategy. For example, will you use charting and technical analysis only, or take other factors into consideration such as seasonal fluctuations inherent with agricultural and resource supply and demand? Throughout the pages of this site, we will explore some of these areas and seek to provide answers. So enjoy the ride! So what are commodities and what is the best way to trade them? If you don't know, or just looking for some deeper insight, here is an introduction. 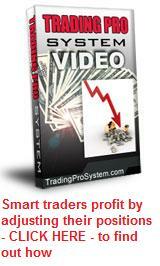 The best commodity option trading system is one that suits the kind of market environment in which you are trading. Choose one that fits well with the kind of price action typical of the commodity. Here's our listing of best commodity options software. For charting, risk analysis and trading platforms on a wide range of commodities. So what should you want from a commodity futures options trading course? Here is a "wishlist" of desirable features and some course recommendations. Commodity options are options having a commodity like wheat, corn, sugar, gold, silver and crude oil as the underlying source, but the options are actually on the commodity futures contracts. Commodity futures options are becoming more popular among stock options traders. They enable the trader to trade futures, but without the unlimited risk normally associated with futures contracts. Trading Commodity Options has some distinct advantages over trading futures, or the stocks of companies that deal in those commodities.. There are some fundamental differences between futures vs options that are so significant that they affect the level of risk involved and consequently, how you should use them. Oil futures options allow many investors to turn this precious resource into an investment that brings a return without all of the risk normally found in the futures market. Learning how to trade futures options is more complex than learning stock options. The relationships between the commodity, the futures contract and the options are much more diverse. Before deciding whether it is worth your while trading currency futures options you should first understand the nature of currency futures and their associated risks. Options are more flexible and far less risky to trade than futures. If you're into gold options trading, you have a choice of alternative methods for doing it. Gold futures options, gold ETFs or binary options on gold. Each have their own unique features and risks. Looking to Trade Precious Metals ETF Options? They are a much easier alternative to going with futures options. You can benefit from all price moves in the underlying precious metal while remaining with the stock market. Here is a list and description of the best crude oil ETFs traded on the US markets.There are many advantages of trading ETF's over commodity based indices or stocks. The place to go for these options prices is either the Chicago Board of Trade (CBOT) or the Tokyo Grain Exchange (TGE). Aluminium options are a commodity based options contract wherein the underlying financial asset is an aluminium futures contract. Prices are quoted on the London Metal Exchange or the New York Mercantile Exchange.